Our quantitative filter papers are manufactured from high quality cotton linters using pure water and are further treated with dilute acid to remove any remaining organic and inorganic impurities. 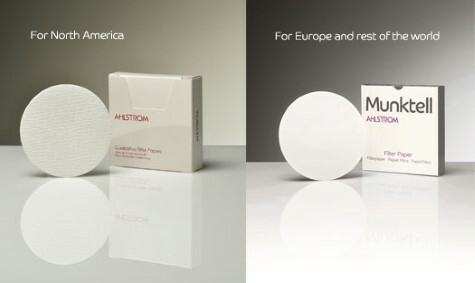 Our filter papers are suitable for routine gravimetric analysis and typical preparation of samples for use in analysis invoilving instrumental techniques. All Ahlstrom-Munksjö quantitative grades are manufactured in a strictly controlled environment that ensures high uniformity and high purity from filter to filter.